Modernity considers no principles. It has turned houses to firms. An industrial mind wished for houses, what for? For workers. It wished for houses but what kinds of houses? There are some examples in China. There are some people exploited in China without being aware of. What is important to capitalists now? The economic growth of China- it matters only. You know why? Since, it is based on egocentrism and works on its basis. It centers only on oneself. “I only matter.” “Others don’t matter.” Humans themselves kill humans. The person who lives there does not matter. He should live there because his factory is there. He must work. 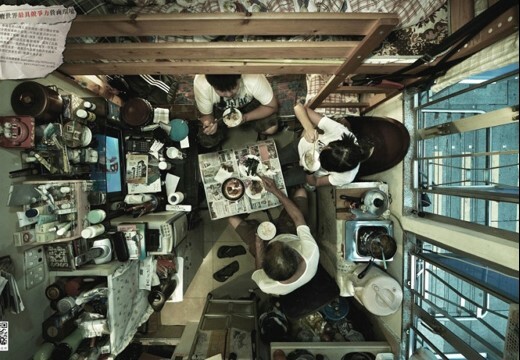 Some families have lived in 20 square meters. Even two generations have lived there. At first, it was a couple living there, then they had children. Their children grew up there, got married and brought their spouses there. Then there were grandchildren. 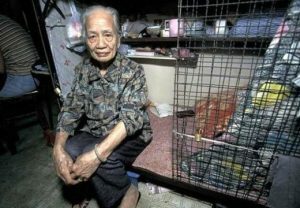 What is the difference of this and keeping hens in cages in a chicken farm? imal even more. How? They feed the hens with Calcium Carbonate and scallops so that they produce egg shells faster. They turn on and off the lights suddenly in order to make the hens confuse day and night so they lay eggs. They completely change and confuse their metabolism and body structure. Or they do biological changes and modifications to create bigger cows. They have created biological modified cows but their project merely failed. However, God’s creation is perfect because he is fair and makes everything fit for their own usage. These biological engineered cows cannot reproduce cows. Why? Because the cow in the womb has become bigger than the womb itself. They tie a rope to the leg of the heifer and by using a hydraulic jack they take it out and when it is not available they take out the calf with the womb by using a tractor and it is not important to them. Have you seen or heard that they use the livers of ducks? They pour oil in their throats either by force or by using pipes, they use solid oil. Search about what I am telling you. The liver becomes fatty and big. Having fatty livers is an illness. They make the livers fatty to serve them in expensive restaurants. So what happened? Where is the “animal rights”? Nay, these false claims are just for the media. In addition to that the “human rights” is just a subject for the media. Absolute nonsense, my dear audience. Why the child birth rate and population control is not observed in China and India? Because they provide the labor force. China is the factory of the West. It is written on an iPhone- designed in California, assembled in China. The designing was done in California, why? Because, a European worker asks for a lot of money. But that poor worker in China has to work. Pay attention to this lifestyle. Do you see any beauty in it? Do you find order? There exists nothing. It is broken, smashed under modernity. In some countries where only the labor force matters, there are some places like a grave. 2 meters in length and one meter in width, just for sleeping. Food is out of the house, the bathroom and toilets are out. One toilet for all, why? Because, you have been created to be the slave of a capitalist. You are a slave, an ever debtor slave. It means that you should endeavor hard for the needs they have created in you. It would be perfect if you controlled your needs. However, they control our needs through the media, then you struggle to make the dream they created for you come true and you never reach them. In order to make it possible for you to reach them and to make you work harder, they highlight the goals in the media and help some people reach the goals. 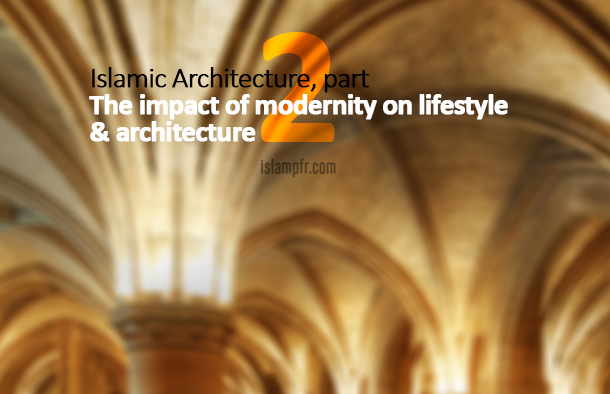 What was the outcome of that modern architecture? A postmodernism. It caused a lot of problems. Your body is made in a way that quickly adapts with the place you live. If you change the conditions dramatically, the body faces many problems. When you live in a high altitude, oxygen is less. When there is a lack of oxygen red blood cells increase in number to make supply more oxygen faster and consequently blood becomes thicker. Those who live in mountains have red faces. The reason is what I explained. But in apartments and towers, the person who lives in higher levels has thicker blood and when he comes downstairs to spend some time there, he experiences a change in his blood and what is the consequence of these sudden pressures? A stroke. Pay attention to the number of casualties caused by fire. If a tall building catches fire from downstairs it will quickly spread to the top. It means people victimize themselves by living in apartments. They say they have no other choices. Why don’t you have any other choices? They say they can’t buy or build a big house. They are right. Because you shouldn’t have come here. You should go back to where you used to live in order to solve the problem. You should be distributed in all cities and towns rather overpopulating the capital or a specific city. Let’s examine the threat of quakes in tall buildings. Suppose you live in a big house, when the quake strikes you quickly go in to the yard, don’t you? But what about these kinds of buildings? How many people will be killed? 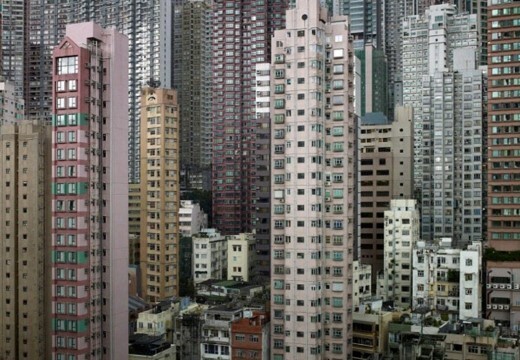 We mentioned some physical problems caused by living in tall buildings. Now we deal with the religious and ethical problems, they are by far more important. Most of the crimes around apartments. Why? Because people don’t know each other. There is no horizontal view any more. How can I defend my neighbor or my space? Amir al-Mumenin (PBUH) says that the grand Prophet emphasized the importance of neighbors that we thought neighbors would inherit from us! The prophet recommended us to first take care of our neighbor then take care of ourselves. In another narration the prophet asks us to know forty of our neighbors in 4 directions. It means 160 neighbors/ people. This is for the sake of knowing about each other’s well-being and in case of emergency help each other out and also to share their joy or condole their grief. But in the towers of today where above 200 families live, no one knows the other one.
 . The most populated country of the world. Its inhabitants exceeds over 1.3 billion people. This country is situated in Eastern Asia.
. Metabolism is the set of life-sustaining chemical transformations within the cells of living organisms.
 . A state in the west of the USA on the Pacific coast.